Somax Performance Institute (web: somaxsports.com), the world leader in analyzing, measuring and improving sports performance, is pleased to announce that their sports analysis videos have surpassed 2.9 million views. The Institute, which works with athletes from the sports and business communities, improves performance far beyond conventional coaching and training with its unique program of motion analysis and Microfiber Reduction. "We enjoy helping recreational and competitive athletes learn how to videotape, analyze, measure and improve their own sports mechanics--instead of trying to copy well-known golfers, baseball players and others who often succeed in spite of their inefficient movement patterns” says Bob Prichard, Director of Somax Performance Institute. 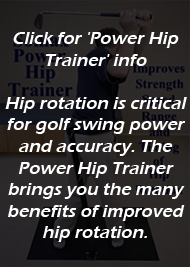 "Many modern golfers, for instance, have lost flexibility from lifting weights. The resulting restricted movement patterns often lead to injuries and erratic performance. " By measuring Range, or how many degrees the parts of the body move, Somax has been able to predict injuries in athletes as much as a year in advance, as well as improve running pace by more than a minute per mile in just a few weeks. By measuring Sequence, or the order in which athletes move the parts of their body, Somax has been able help athletes increase the length of their drives off the tee and home plate by 20%. By measuring Separation, or the amount of time between movements, Somax can identify areas where athletes can improve their performance while at the same time reducing effort. By measuring Alignment, Somax has improved accuracy in golfer’s drives from 55% to 92% and reduced chronic injuries in runners. The Somax RSSSA system of analysis has been proven to be not only simpler than computerized analysis, but more successful in identifying inefficiencies that can be improved to boost performance. Since 1970, the Somax Performance Institute has helped athletes of all ages improve their performance by improving their efficiency--rather than their strength and endurance. Their 17 Olympic athletes have won 44 Gold Medals and have set 11 World Records. Their pro golfers have won the US Open as a rookie, increased their putting from #113 to #1, quadrupled their tour income and increased their longest drive from 295 to 400. 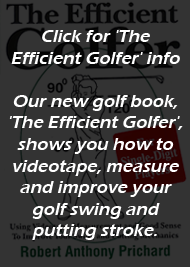 Amateur golfers have increased their distance, lowered their handicap and eliminated back pain.